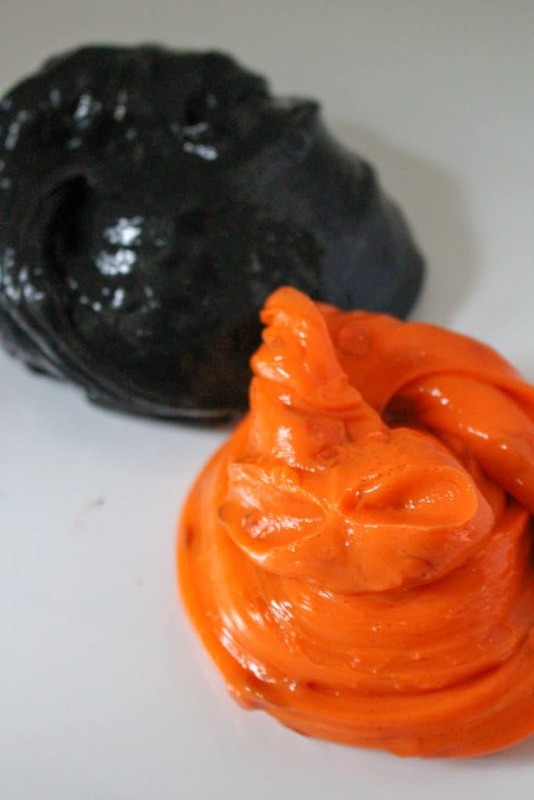 Your kids will love celebrating Halloween with this spooky Orange and Black Halloween Slime. 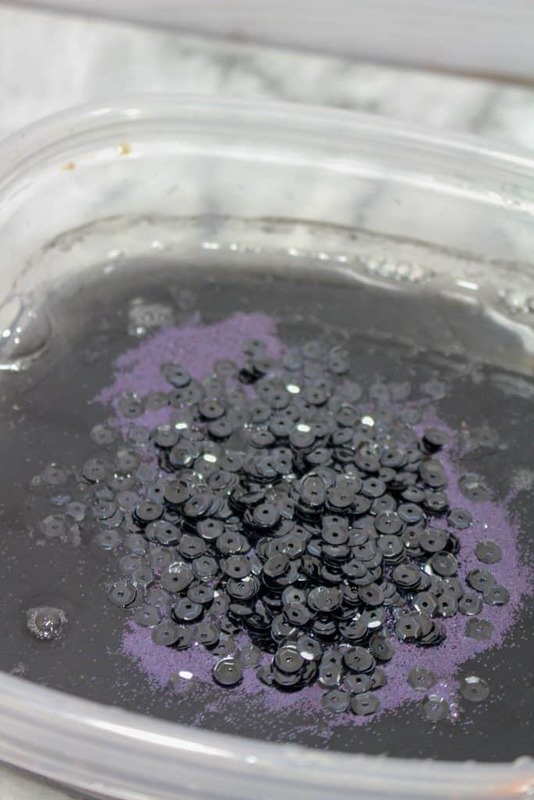 This is the perfect recipe of slime for kids. I’m sure that your kids are equally as obsessed with slime as my kids are. Honestly, I love slime because my kids are entertained for hours. I also love that it is a creative craft that encourages imagination in kids. I find it really fun to make your own slime at different times of the year. You can make every color possible and celebrate every holiday you want. People really have gotten very creative with their easy slime recipes. 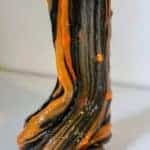 Make your Own Slime Recipes: Here are other slime recipes you might enjoy for Holidays year round. 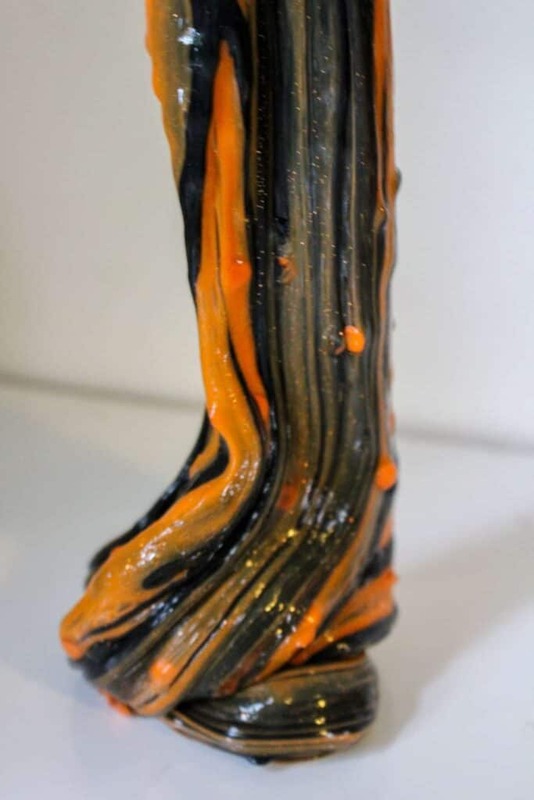 Squirt in some orange acrylic paint until the shade of your liking forms. Stir well. 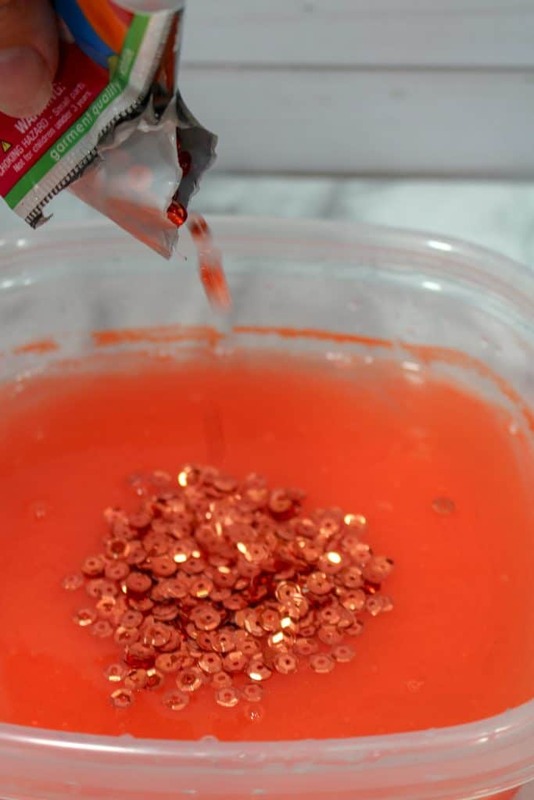 Sprinkle in some orange sequins and glitter. Stir. Repeat the process, except adding black paint and sequins instead of orange. When you are playing with them, the colors will begin to blend together creating beautiful swirls. 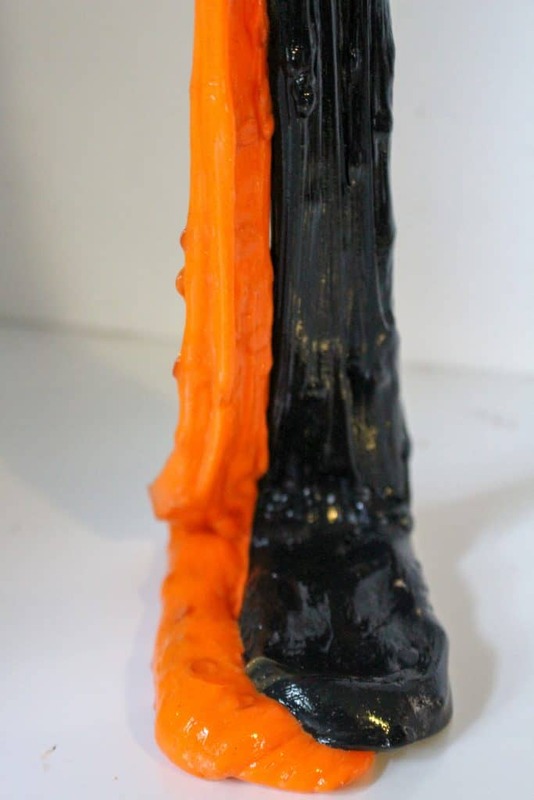 Eventually the colors will fully blend together to create a perfect pumpkin orange color! 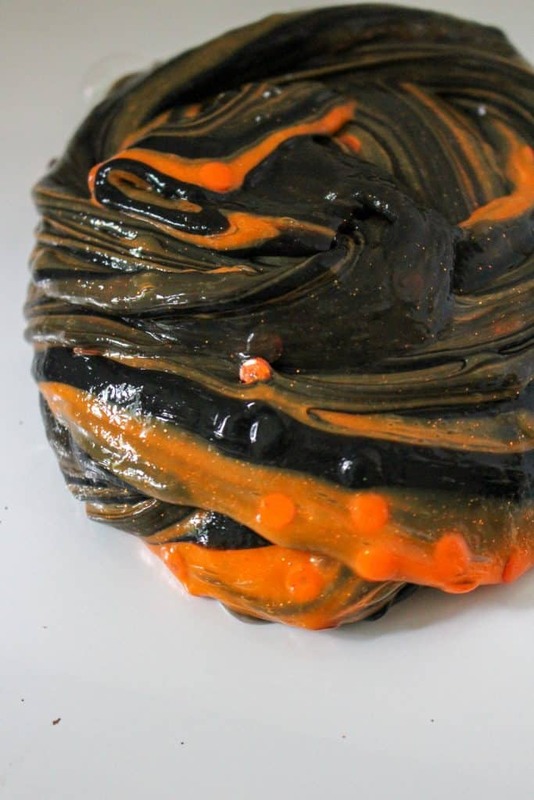 This Slime Craft is a perfect way for your kids to celebrate the Halloween season. 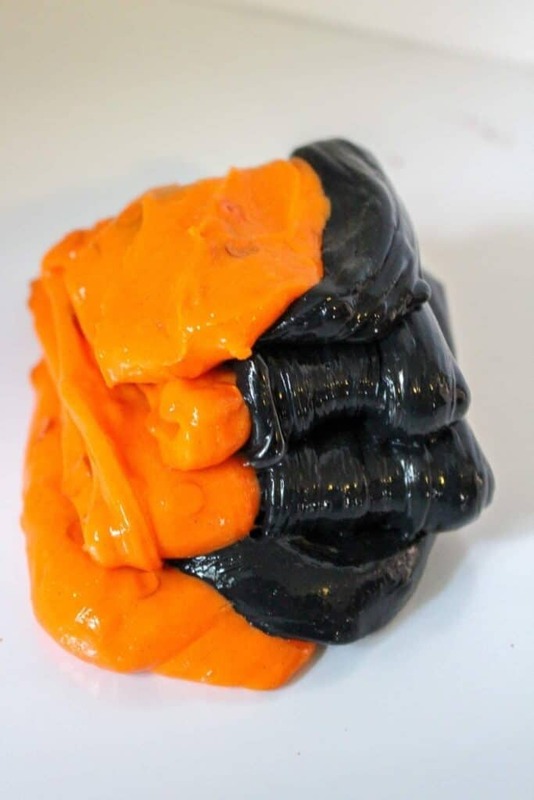 Print the Halloween Slime recipe below to have it on hand whenever you need it.